My right lamp is out but my brake light still works. When I drive I only have one tail light working (left side). 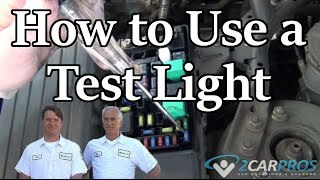 When I put my right signal on it works but it flashes fast I do not know if I need a whole lamp or is there a replacement lights. I do not want the police tripping on me with one tail lamp on. Please I need answer on what to do. I would check the light bulb first but then hit up the fuse becasue if one fuse is out it will cause this problem. How to remove rear tail lights? Hi, the bolts to remove the lens are behind the trim panel. Below is a diagram to help you. Need to remove tail light housing to check for water leak into tire jack well on right side. I already replace the tail gate weather seal. There should be a couple of screws you can see once you open the lift-gate. If you have a water leak you should have the spare out and lift-gate closed then have a helper spray the back end of vehicle and on top to see if you can see the water coming in. You need to open the rear tail gate and loosen the trim/carpeting first to gain access to the light assembly bolts. There should be plastic fasteners holding the trim on. Once removed you can see the bolts holding the assembly on. Remove these bolts and pull the tail light assembly out far enough to reach the bulbs. 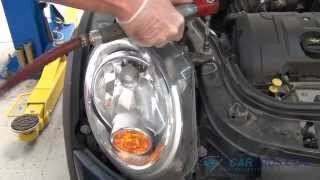 How to change running light bulb? Are you referring to the parking lights? If you open the hood, check along the rad support for vertical pins that hold the assembly in place. Some used these. If they are there, pull up on them and the assembly will come out. On A 2004 Srx How Do You Get To The Right Front Turn Signal Light Bulb To Replace It?